Hello ladies! Join us as we celebrate Girls Who Hike Central Coast chapter’s anniversary with a potluck hike to Two Trees and Barlow Canyon in Ventura. The hike will be co-hosted by GWHCC Ambassadors Susan Adamich and Caroline Paras and led by Rancho Ventura Conservation Trust administrators. In addition to the hike, chapter members are encouraged to bring a snack to share, and a towel or small pad for sitting on the ground. Two Trees, one of the most iconic landmarks in Ventura, is on private agricultural land under the stewardship of Rancho Ventura Conservation Trust. Rancho Ventura is regularly open to the public for organized group hiking to Two Trees. GWHCC will be receiving an exclusive guided hike to Two Trees and then into the backcountry of Barlow Canyon by Mike Lydon, the Ranch Ventura Naturalist; Spencer Noren, the Rancho Ventura Community Outreach director, and Bonnie Atmore, the visionary and co-owner of the Rancho Ventura Conservation Trust property with her husband Richard Atmore. During this ladies-only meetup, our chapter members will get to visit the permanently preserved land in the Ventura Hillsides, take in incredible views overlooking the Pacific Ocean, Channel Islands and the cities of Ventura and Oxnard, and the Los Padres National Forest and Topa Topa Mountains to the North and Santa Monica Mountains to the Southeast. There will be incredible photo opportunities due to the great visibility in the Fall and Winter months. Hike leaders will teach the story of the land, History of Two Trees, facts about wildlife and more during the hike. This hike is open to all levels of hikers. The first trek of the hike will take us to Two Trees which is 2 miles round trip. If you decide to continue on, we will hike into Barlow Canyon, which will be 4.5 miles roundtrip. 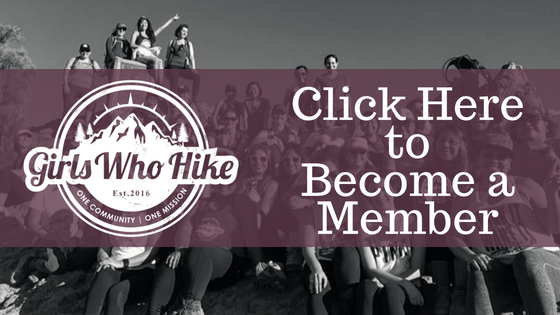 Girls Who Hike was founded in 2015. The Central Coast chapter was founded March 6, 2017. Trail Rating: GREEN: Mellow hike, easy to follow, elevation gain of 1,000ft. and under, low altitude (with a few of short, steep sections). Novice hikers welcome! 2L of water required. We will hike as ONE group. Large groups are great for these hikes! Time: 9 a,m. to 12 p.m. Distance:Two Trees: 2 miles RT / Barlow Canyon: 4.5 miles RT. Trailhead Coordinates / Address: No marked address. The Barlow Canyon corral is on Foothill Rd., Ventura (corral is between Court Ave & Hamilton Ave; approximately 1 mile west of Arroyo Verde Park). Drive in the gate and park next to the corral. Men: No (except for our Rancho Ventura guides, Mike and Spencer).